Admittedly, my Friedrich Wahle research has been on the back-burner since I found the print version of my painting. I’ve mostly been trying to monitor the auction market where a few of his paintings surface every year. 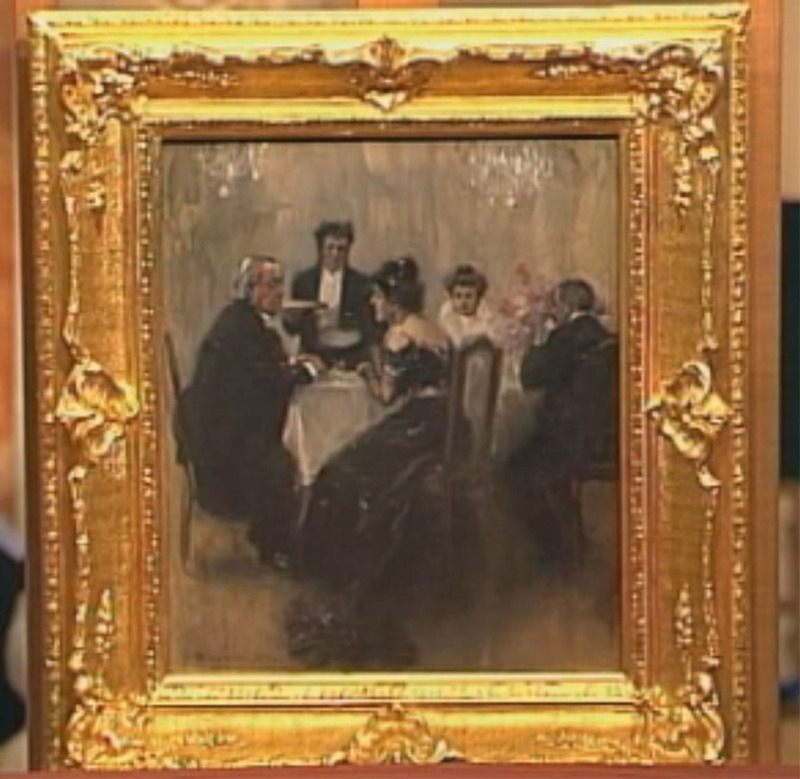 Interestingly, I happened across a television appraisal of a Fritz Wahle painting on Kunst & Krempel (Art & Stuff), the German version of Antiques Roadshow. It’s a well executed scene of a couple sharing a few private words at a dinner party which I think the show entitled “Eavesdropping”. While the image is beautiful, it was the frame that really got my attention – it is the same as the one on my Wahle! I finally found my painting! So there you have it, The Discourse was in fact created as an illustration as I suspected. The engraving was done by “Willis” and signed in bottom right corner. While not as beautiful as the oil painting, I am impressed by the amount of scenic detail picked up in the print version. The engraver even reproduced the broad diagonal strokes in the flooring which seem like such an after thought on the part of Wahle, likely meant to be cropped in the magazine lay-out process. The print does settle one detail that I’ve been debating since I first saw the painting. For a work mostly done in muted blue and gray, the little red dash on the old man’s lapel always seemed like either a later addition or a playful detail. I’m happy to report that it seems to be reproduced in the magazine and must have been original to the image. The Big Feast. Man (to the butcher): Was everything over the top at your daughters wedding? ….. O, let me tell you, the pig we ate could have taken a bath in all the Champagne we drank! I’d like to look more closely at and translate other pages in Fliegenden Blätter to see if the jokes get any better. It’s hard to believe that such beautiful illustrations by Wahle, Reinicke, and Soblittgen were paired with silly jokes. For comparison, I might also check out the UK’s 19th century humor magazine Punch to see if century-old English jokes hold up at all. I still find it hard to believe that my painting, and frankly all the other gorgeous images in the magazine, might be just lame jokes. It speaks to the available artistic talent and maybe to the quality of journal the public was use to. I’m still divided on whether Wahle was supplied the text/joke on which to base the image or if he created scenes which were then matched as best as possible to available stories. “The Flirtatious Officer” seems to suggest that the text influenced the image. The Wahle market remains strong in Germany. Vor der Oper. (Before the Opera) sold by the Neumeister Auction House, Munich in September 2012 for 2600 Euro! So what’s next now that I found “my Wahle”? I will continue to work on Wahle’s biography and more importantly his catalog – wrapping up my review of Fliegenden Blätter and then looking at other 19th century magazines. With paintings popping up every year (and most recent here), I continue to watch the auction market. It’s interesting to put each piece into context of his entire career portfolio so I like seeing what surfaces for sale. I also have references to Wahle’s participation in other art shows (besides the Munich Secessionists) that I will start researching too. It’s encouraging to find my painting and makes me more determined to finish what I started! To read up on the entire Friedrich Wahle Project so far, click here. As readers of this blog know, I bought an early 20th century German painting by a little known illustrator, Friedrich Wahle, and have since been researching the artist’s life and portfolio. The catalog research has been going well and I’ve figured out what he looked like and even where he lived in Munich from 1893-1902. Then, out of nowhere, a scandal emerged. Apparently, Fritz Wahle may have been involved in a love triangle with Sigmund Freud’s fiance (and future wife) Martha Bernays. Given some of Freud’s vehement writing decrying artists as wild seducers, I can’t help but think my Wahle may be the one who jaded the father of modern psychology. 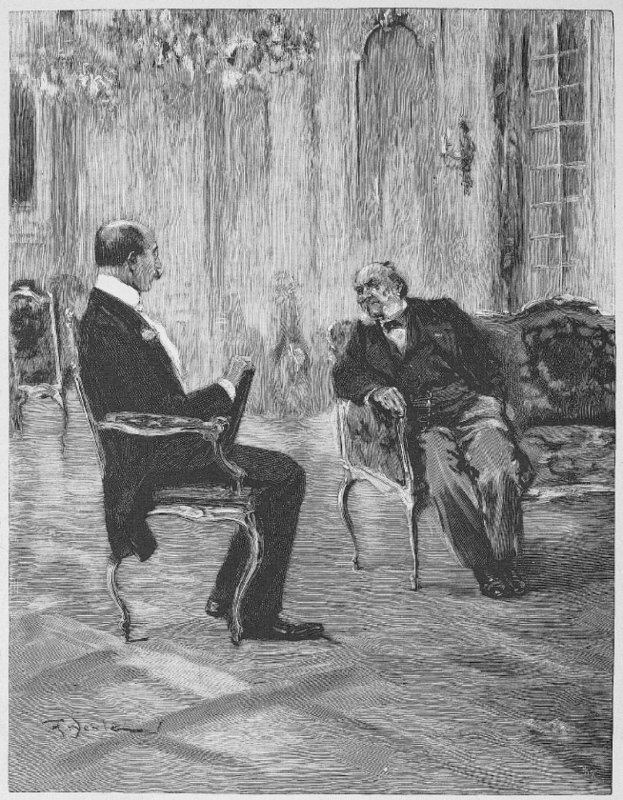 Sigmund Freud and Martha Bernays met in Vienna and were quickly engaged in 1882. Because he felt he lacked the means to impress her family, Freud demanded that the engagement be kept secret. To hide their relationship, her love letters to him were disguised as academic correspondence arriving to the University of Vienna. Freud’s love letters to Martha were addressed to and delivered by their mutual friend Fritz Wahle. At first I though this name was just a coincidence. Looking at American immigration records, there were a dozen or so men named Fritz Wahle during this period. But then again, the Friedrich Wahle I have been researching would have been only 2 years younger than Martha. 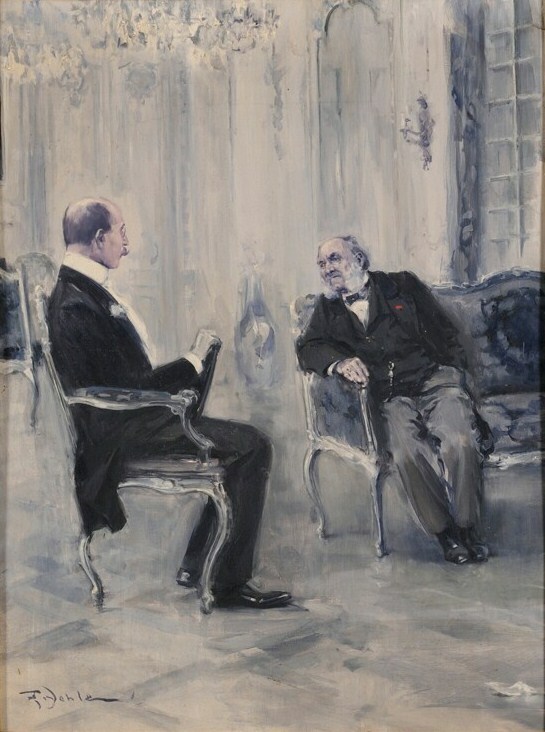 The “Fritz” in this love story is described as an artist. 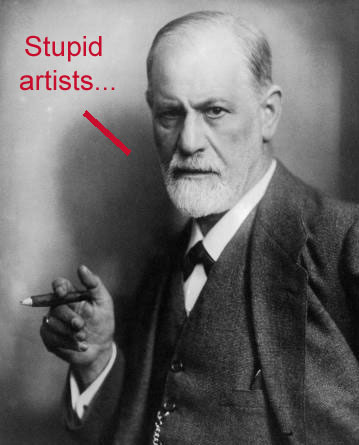 Freud even makes a cheeky reference to their academic cover-up referring to their friend “Dr. Wahle of Prague”. I know very little about Friedrich Wahle’s youth, but it is possible that after being born in Prague that his family came to the Austrian capital of Vienna. Likewise, since he was Jewish, he may have known Martha whose grandfather was a famous rabbi. So while this necessitates a lot more historical research (art school records, census, genealogy, etc), it’s a distinct possibility that Fritz was a close friend of Martha and Sigmund. Honestly, I really hope this is the right Fritz Wahle because he was involved in a juicy story! 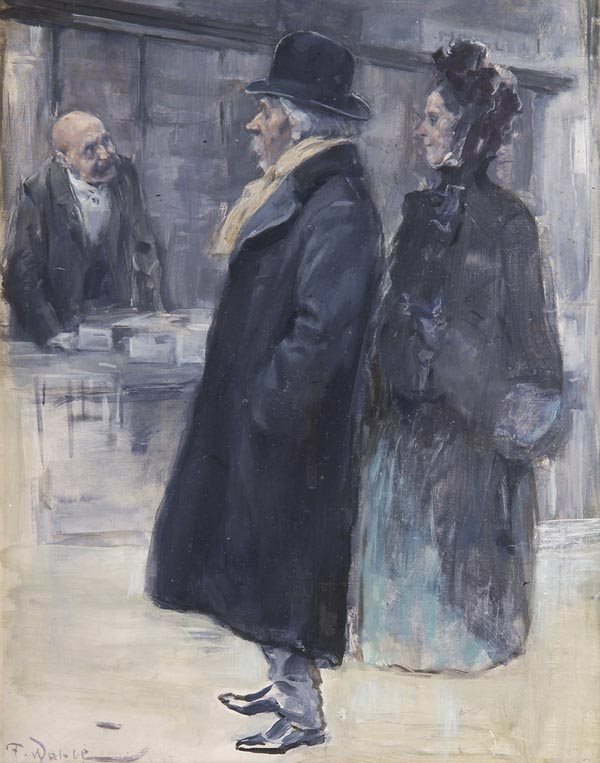 Although engaged to Martha’s cousin Elise, Fritz spent a lot of time with Martha accompanying her to events and even serving as her art teacher. Very soon into the engagement, Sigmund proved to an incredibly jealous boy-friend criticizing friends and even family members that occupied Martha’s time. This included her “brotherly friend” Fritz who Freud apparently believed had a reputation for “being able to coax a woman away from another man” . In this case, Freud was perhaps rightly suspicious. Friedrich (Fritz) Wahle may have led a very interesting life indeed! Ernest Jones, The Life and Work of Sigmund Freud. Basic Books: New York, New York; 1953. Peter M. Newton, Freud: From Youthful Dream to Mid-Life Crisis. The Guilford Press: New York, New York; 1995. Lisa Appignanesi and John Forrester, Freud’s Women. Basic Books: New York, New York; 1992. Norman N. Holland “Freud and the Poet’s Eye: His Ambivalence Toward the Artist”. PSYART: A Hyperlink Journal for the Psychological Study of the Arts. December 15, 2009. Available here. Sept 17, 2012. 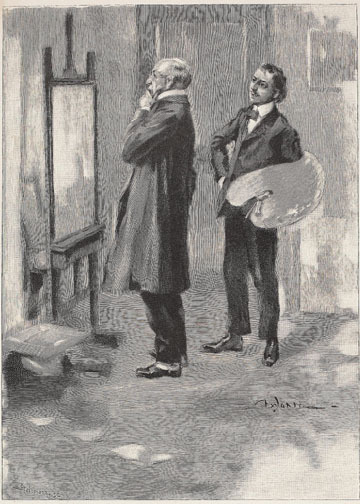 If you haven’t been following along, I’ve embarked on a little research project to create a catalog raisonne and biography for the German illustrator Friedrich (Fritz) Wahle – mainly because I bought one of his paintings and couldn’t find any information about him. 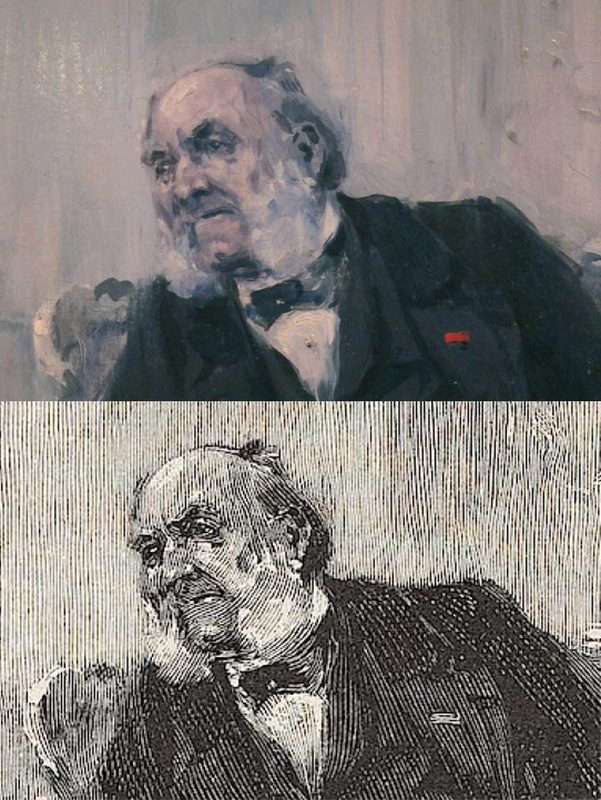 Many of his paintings appeared in the humor magazine Fliegende Blatter and so I’ve been going through digitized copies looking to correlate print images with auction records and to identify new painting. Here is the first match I found! Having decided that Wahle was part of the Munich Secessionist art movement based on his circle of friends, I sought out the catalogs for the Secessionist exhibits to see if he ever did show his art with this group. While I didn’t find many specifics about this paintings, I did find some key biographical information.